As of late the popularity of music video games has grown a lot due to their simplicity and how addictive they are. 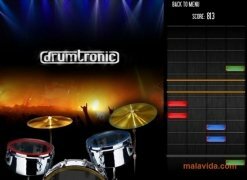 They all have very similar mechanics, based on pressing a button, or striking, at the precise moment with the idea of following the rhythm and increasing our score. 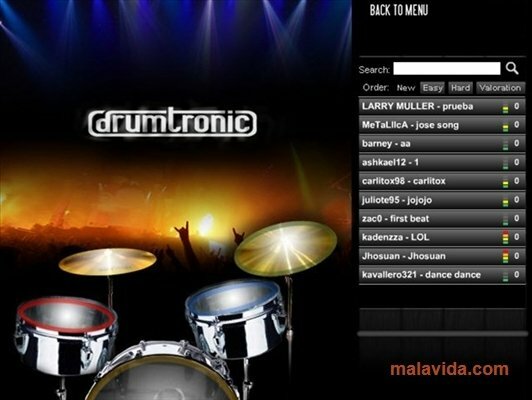 Drumtronic is one of these games, but using an instrument that isn't used so often, the drums. 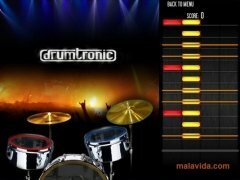 If you want to be like Lars Ulrich from Metallica, John Bonham from Led Zeppelin or the brilliant Joey Jordison from Slipknot, you have to download Drumtronic to start playing the drums as soon as possible with your computer. 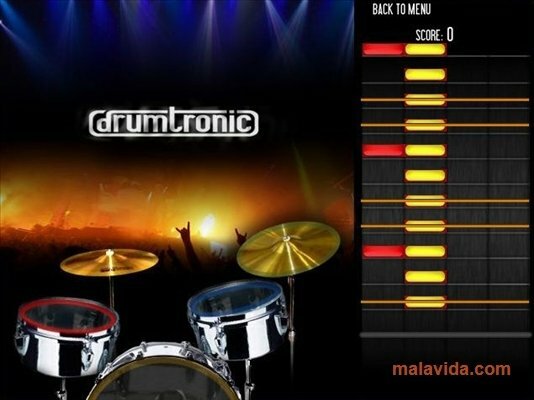 Drumtronic's interface is like the majority of games of this style, a set of bars will move down the screen and depending on their position we will have to press one button or another until the song or our patience to pick up the rhythm ends. It is rather complicated to begin with, but if we know some of the songs that are included in Drumtronic we will get the rhythm rather quickly and start learning fast. Unlike other games such as Guitar Hero or Frets of Fire, the game's animation is very simple, even though its playability and addiction are exactly the same.